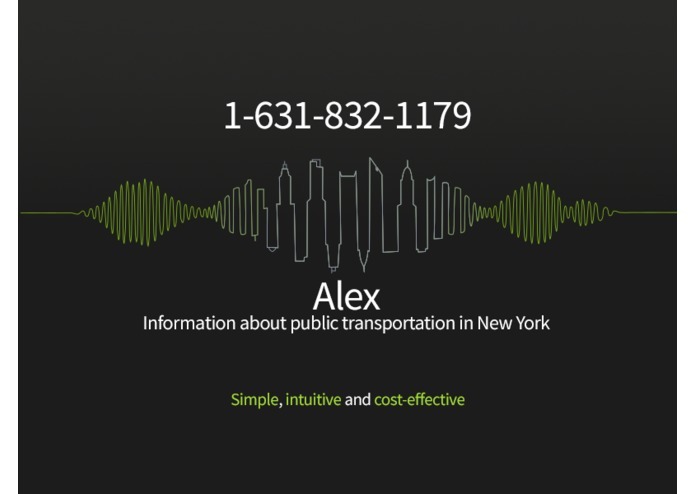 Alex is a Spoken Dialogue System, a phone service providing Information about Public Transportation in New York. This app was developed as a part of my Master Thesis project under the supervision of Dr. Filip Jurcicek at Charles University in Prague. Our group is focused on a research in the field of Spoken Dialogue Systems. My goal was to make a Public Transport Information system in English. I picked the greatest city - New York. Our target users are the visually-impaired. They don't need to type in origin and destination of their journey. They can use their own voice. 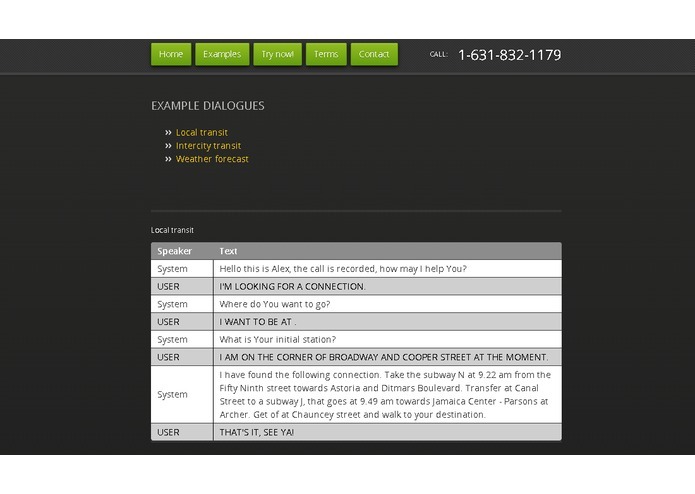 With our application, these people quickly adapt to the voice interface and they can easily pick and ask the information they are interested in. 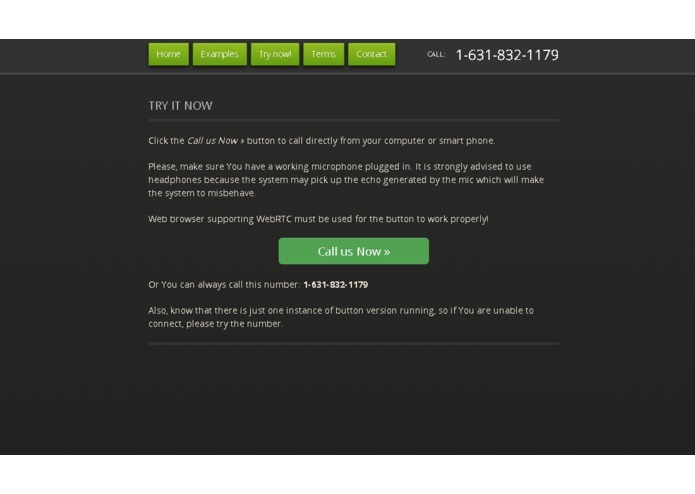 It can be used by other people as well, in fact our application addresses people that do not have or can not afford a smart phone. They can use a phone-booth to quickly access the information. We are most proud of the fact, that we bring a different take on providing Information about Public Transportation. "Can You repeat that?" for repeating the last utterance. "New entry." for restarting the process (clear dialogue history). "Help." for getting a hint of what to say. Call our service at 1-631-832-1179. Our website http://alex-ptien.com has all the information in detail.